An all-natural tea manufacturer, with a tea tasting room, art gallery, café, and gift shop in one of my favorite eclectic U.S. cities. What’s not to love? 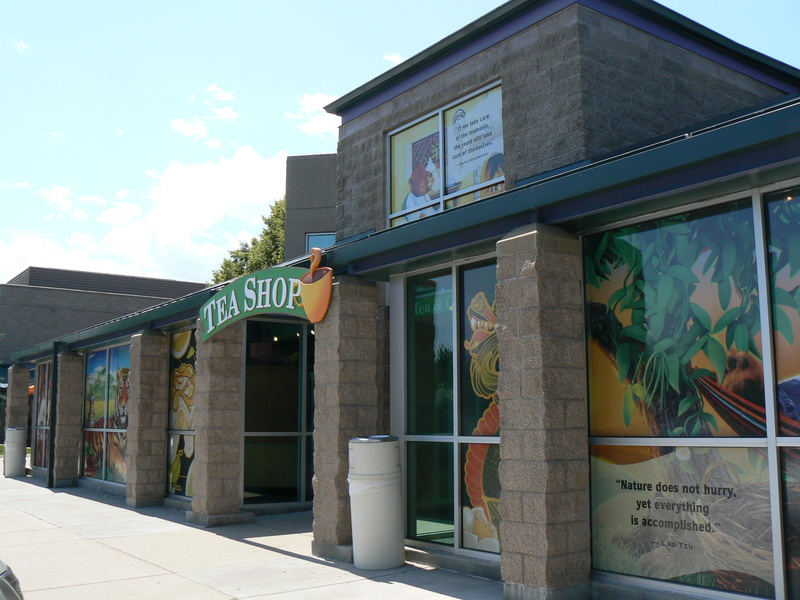 Celestial Seasonings, headquartered in Boulder, is one of the largest specialty tea manufacturers in North America. My family and I dropped by the Celestial Seasonings facility, expecting to pop in to buy a few of our favorite teas at a discount. 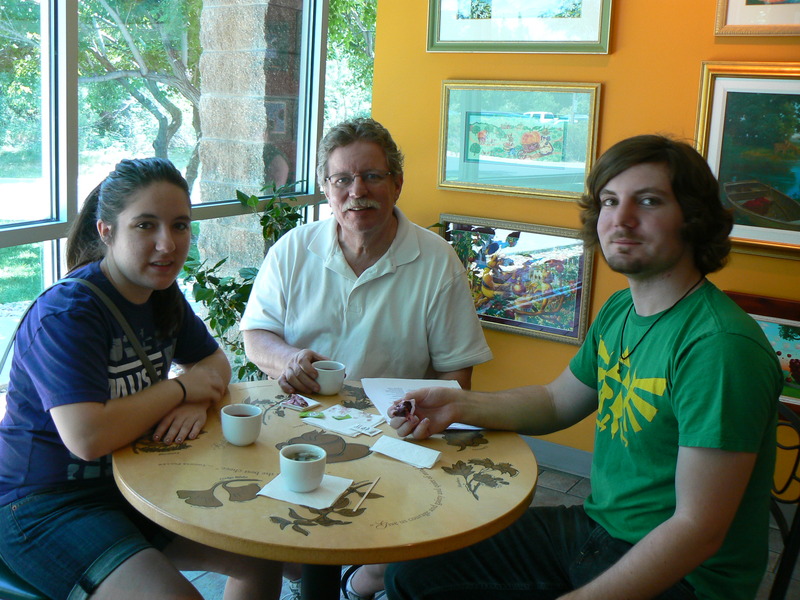 We ended up staying a couple of hours enjoying the flavors of many teas, buying presents, and learning about teas. I especially loved the tea tasting room. When you walk into the light, inviting room, a host hands you a small porcelain teacup. You carry it over to the tea station featuring a handful of featured pre-brewed teas. If the flavor you want is not available, you walk up to the counter, ask to try a particular tea, and they fill your cup with hot water and give you a fresh teabag to brew your own. My new favorite: Jammin’ Lemon Ginger. Yum! Not a thing. My family thoroughly enjoyed our visit. Informative hosts are handy to provide answers to any tea-related question. Free tours of the world’s most advanced tea production plant every day (except major holidays) show you how the finest all-natural ingredients from around the world become your favorite Celestial Seasonings teas. Tours leave on the hour and last 45 minutes. 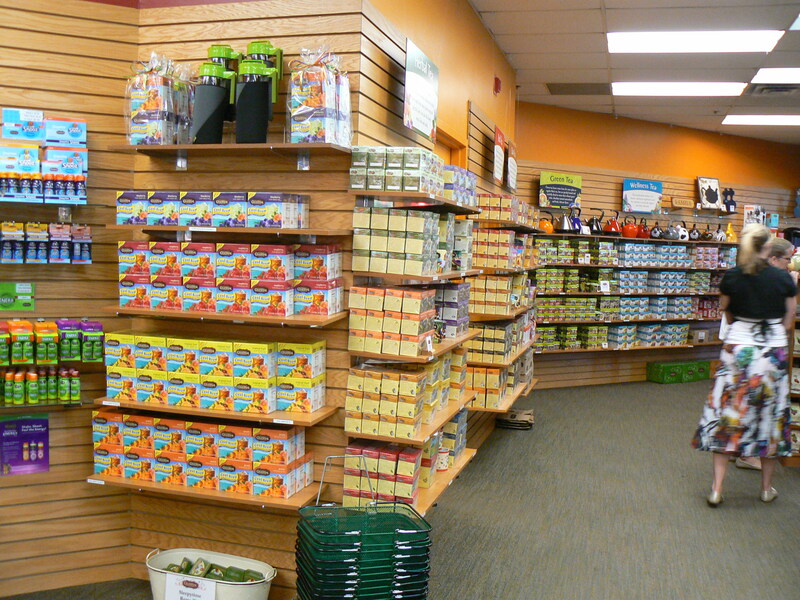 A tea shop with discounted teas, all the tea-related supplies and gifts you can imagine. The Celestial Café, serving fresh, delicious, home-cooked meals in a cozy atmosphere featuring beautiful Celestial Seasonings artwork. See Web site for special café hours. My favorite surprise came in the form of tea art. 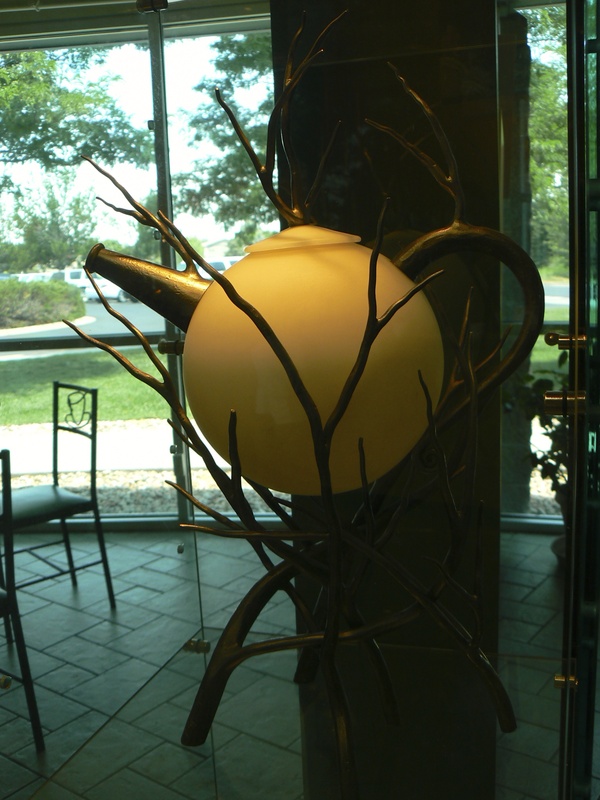 The tasting-room and café walls, and lobby display cases, brim with beautiful packaging artwork and unique tea sets. The work is truly eye-popping. 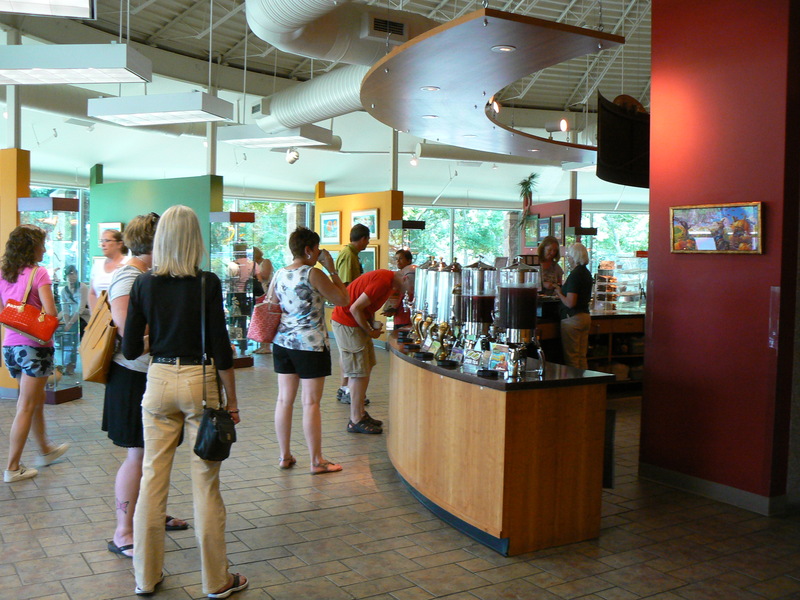 This entry was posted in All Posts, Boulder, CO, Coffee CommuniTea, Village: You+Me+Us by Ann Videan. Bookmark the permalink.